Land Contract – You probably know the drill: Fill out mountains of paperwork, submit the required proofs, and obtain a mortgage loan. After that, you make a down payment, send a monthly payment to the mortgage lender, and write off the mortgage interest on your tax return each year. If you’re fortunate, you have enough cash on hand and don’t need a mortgage at all. However, not everyone is that lucky, and the traditional path to buying a house just doesn’t work for them. Land contracts can make an excellent alternative in this situation. Some buyers lack a credit history, have a debt-to-income ratio lenders consider too high, or have other issues with their credit. That doesn’t mean they would automatically make a weak candidate to purchase a property. With a land contract, the buyer and seller are the ones who decide on the necessary qualifications instead of a mortgage lender who must follow a formula that determines who to approve and who to decline. In addition to payment terms, part of the negotiation between the two parties includes a stipulation about when ownership transfers from seller to buyer. That typically occurs once the buyer has made the final payment, but it can be whatever the parties mutually decide. Although land contracts and traditional mortgages are both legal contracts, the seller finances the first type entirely. It benefits buyers who may otherwise be unable to purchase a home as well as sellers who can potentially charge more interest. If you’re the seller, advertising that you’re willing to consider a land contract significantly increases your pool of eligible buyers. It also allows you to remain in control of the contract terms, not the bank. If you have been renting to a responsible tenant for a while, a land contract eventually frees you from the responsibility of the property while still allowing you to generate income. However, this real estate transaction is not entirely without risk. That’s why it is in your best interest to have an attorney who practices real estate law review the contract before you and the buyer sign it. Purchase price of the property: This may be higher than similar homes in the area due to the added interest. As mentioned above, sellers are within their rights to charge a higher interest rate to compensate for the lack of traditional financing and assumption of risk. Down payment: This is the lump sum the buyer must present when the two parties sign the legally binding document. A down payment of 10 to 20 percent is standard, but it can obviously be a different amount. Sellers who are currently renting to a buyer may opt to provide built-in discounts to enable him or her to save the money faster. Interest rate: The seller should state this figure as an annual percentage rate (APR). From the buyer’s perspective, agreeing to an above-market rate provides an incentive to improve credit or do whatever else is necessary to qualify for a lower APR eventually. Monthly payment: The seller should represent this as the combined total of the principal, interest, property taxes, and homeowner’s insurance. If the seller has any concerns about the last two getting paid, he or she can choose to do the servicing directly. Balloon period: This refers to the date when the land contract expires, and the buyer must pay the remaining amount due immediately. A period of three to five years is standard. As a seller, you may think this sounds good with one obvious exception. What happens if the buyer doesn’t pay? The good news is you have a legal remedy. You can take him or her to court and nullify the contract. The bad news for the buyer is that he or she has paid rent for several months or years rather than making progress on owning a home. That is because buyers who default forfeit all money paid to the seller. 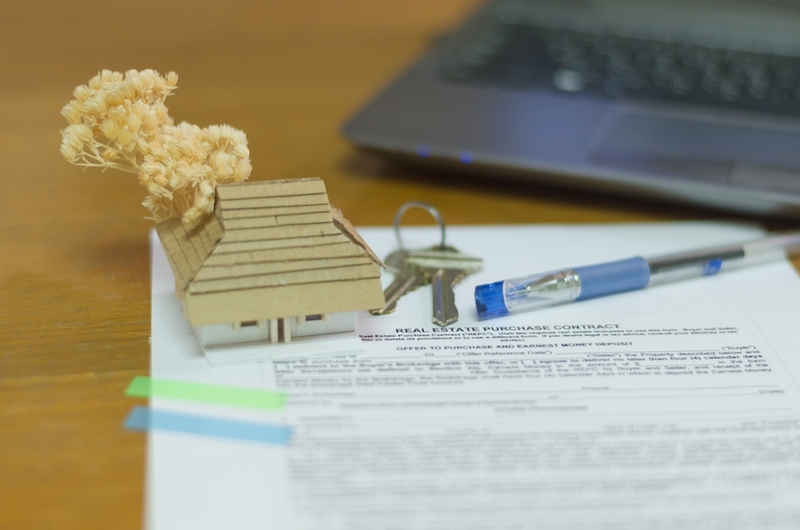 It’s always a good idea to research several other methods of buying or selling a property before deciding if a land contract, also known as a contract for deed, is right for you.